Being a leader in treasury is a challenge to say the least. But, it also comes with a great deal of job satisfaction and fulfilment. 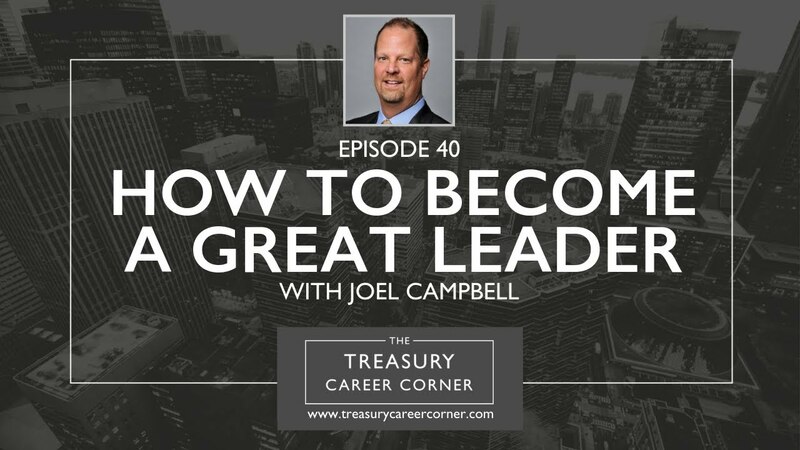 Joel Campbell, the Vice President, Treasurer & Chief Risk Officer at H&R Block, joins me on this episode of the Treasury Career Corner Podcast to talk about his career, recruiting candidates and what it takes to be in a leadership role within the industry. Joel currently leads Block’s global Treasury and Risk Management functions with primary responsibility for capital structure strategy, treasury operations, bank, rating agency, and debt investor relations, along with the company’s Insurance & Risk and Enterprise Risk Management functions. Joel joined Block from The Western Union Company, where he was Vice President & Assistant Treasurer leading teams responsible for capital management, banking, insurance and risk management, and WU’s pension investments. Prior to his role at Western Union, Joel served as Vice President & Assistant Treasurer with increasing responsibilities at both Ameriprise Financial and The Travelers Companies. He holds an M.B.A. in Finance from the University of Minnesota, Carlson School of Management, a B.A. in Accounting from Cedarville University, and the Certified Public Accountant (CPA) designation. If you’d like to get in touch with Joel, you can connect with him via his LinkedIn profile.